Mind-blowing drone/trance/freak session from a Japanese trio who know how to levitate planets. 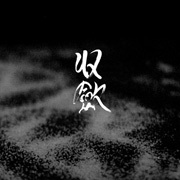 Tetragrammaton features Ken Nobunaga, TOMO and Cal Lyall navigating improvised cosmo-drones of such beautiful complexity and dazzling depth that at points it feels like a masterclass in spontaneous devotional tectonics. Moving from amazing bursts of psych guitar noise and ritual no-mind ala Hijokaidan-meets-Holy Angels to delicious void-gobbling spirit breath of the calibre of Kodama/Taj Mahal Travellers/Ghost et al, the pace of ideas and the flawless organic logic barely lets up as the players flit between hurdy-gurdy, saxophone, gongs, guitar, Rhodes piano, waterphone, crystal bowls, percussion, hydrophone, bells and vocals. The recording is a lush, hi-fi studio set that reveals endless microtonal detail and odd tonal confluence, allowing the group to generate some fantastically powerful and primal setting of black electricity and monolithic electro-acoustic activity. Haven’t been this blown away by a ‘drone’ release since, I dunno, Axolotl’s Telesma? 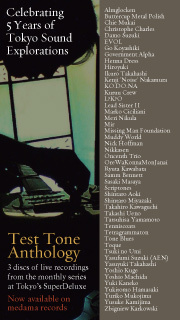 A major new Japanese outfit and one, that on this evidence alone, that is at the apex of free electro-acoustic sound. Highly recommended. Part freeform psychedelic rock exploration, part dronological soundscapery, Tetragrammaton’s Points Of Convergence is a beautiful and frightening trip into the void-dark expanses… that this trio is Tokyo-based is no surprise, seems like if Utech hadn’t put this out, PSF should have. The point that Tetragrammaton makes on “Point of Convergence” is simply that all music has power, and that power can be used for high, low, or no purpose at all. The trio explore a dizzying array of sounds, all of which force the listener to pay attention, to invest in it; there are hidden gems in every beat. Tetragrammaton’s blurring of global sounds and psychedelia (offers) a heady mix that, as more exotic instrumentation is introduced, begins to take the form of a Hermann Nitsch ceremony gatecrashed by members of Harry Partch’s orchestra. Released on Utech Records, this is anutha mutha of considerable cosmick aplomb, often veering between Yatha Sidra’s legendary Krautrock epic A MEDITATION MASS and the demented heathen ritual of Finland’s Hääre, by way of early Cluster, even Kluster! Indeed, deploying such arcane instruments as hurdy gurdy, gong, waterphone, hydrophone, quaard plums and veli bowls at times even pitches Tetragrammaton into that same timeless territory as Taj Mahal Travellers, Marginal Consort and East Bionic Symphonia. Yup kiddies, if This Heat had experienced those six-hour-long Buddhist gagaku rituals, the result woulda been something like these six compelling cosmick Ur-gropes. If you can endure the overall shapelessness of their assaults, and indeed even count that approach to be a blessing and a boon, then by all means strip naked and dive into their black pools of musical asphalt, from which you’ll emerge caked in briny tar and embedded with exotic shellfish. Imagine Skullflower in a murky swamp you may be somewhere close. Tetragrammaton create pure and unadulterated, ingenious music – it is miles ahead of some of the other so-called ‘experimental’ or ‘out-there’ drone or improv based music – these musicians don’t need to show off with shallow, bombastic pyrotechnics or pop-softened, emotionally manipulative atmospherics – they self-evidently have authentic, vital artistry free-flowing through their veins and this album is a towering and sublime sound-sculpture formed from the life-blood of their multifarious, prodigious energies and talent. For devotees of Fushitsusha, Taj Mahal Travellers and Acid Mothers Temple – Point of Convergence merges ecstatic jazz, esoteric ritual and spooky sonorities into a coherent and exhilarating whole. Following their double-disc studio/live debut Elegy for Native Tongues, Japanese improv-psych trio Tetragrammaton have entrusted Utech to deliver this second fabulously foggy meld of cyclical dirge, miasmic psychedelia and abstract freedom. Wrapping itself around the air like smoke rising from a fistful of Buddhist incense sticks, Point of Convergence should appeal to anyone who’s baked a brain cell or two digging folks like Hototogisu, Vibracathedral Orchestra and Double Leopards.